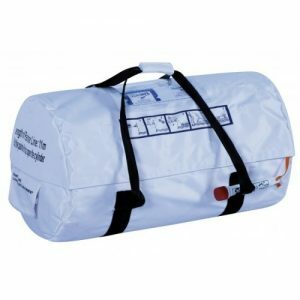 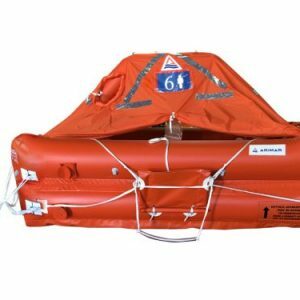 The DEEPSEA Throw Overboard liferafts can carry 6 to 40 people, and they are available “Flat” or “Roll” fibreglass rigid containers. 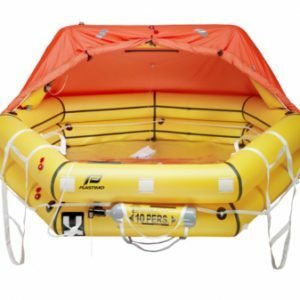 These rafts can be stowed at a height of 18 or 25 meters, and they are the result of state of the art technology applied to safety out at sea. 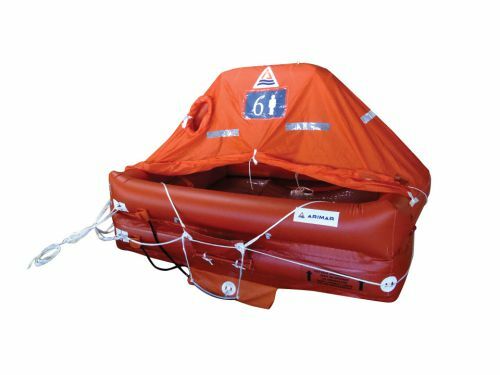 The models which can carry 6 to 25 people are Throw Overboard liferafts, while the liferaft for 40 people is Throw Overboard and Self -righting. 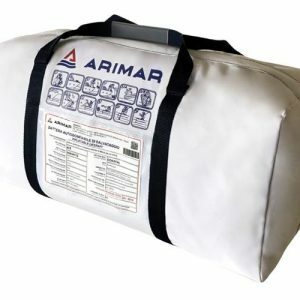 The new SOLAS “DEEP SEA COMPACT” line is the result or Arimar’s constant technological research and innovation in the field of safety out at sea. 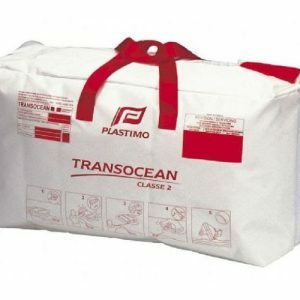 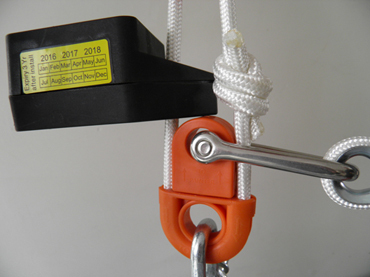 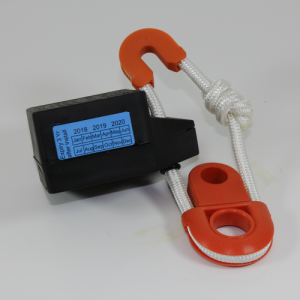 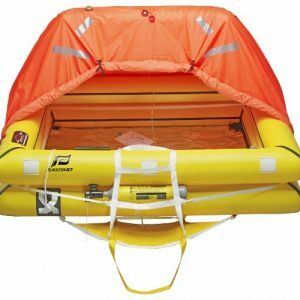 This new line was designed to try and reduce the dimensions and weight of the liferaft (up to 30% less than the current standard), and it is ideal for large yachts and small professional working vessels where space and weight distribution are of great importance. 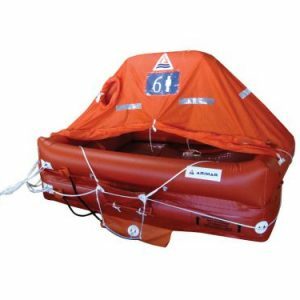 The SOLAS “COMPACT” line features 8 models which can be equipped with either an “A” or “B” equipment pack. 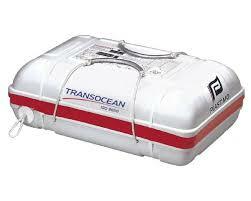 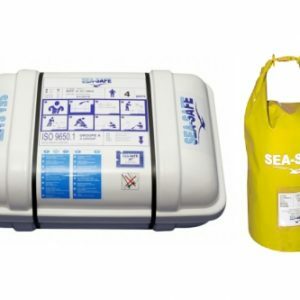 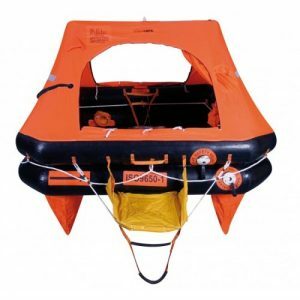 All liferafts are available either in a rectangular or in a cylindrical container. 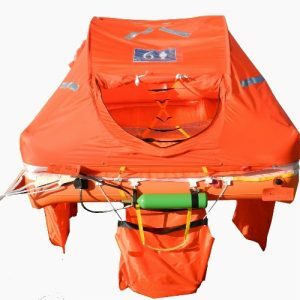 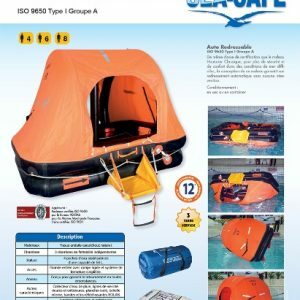 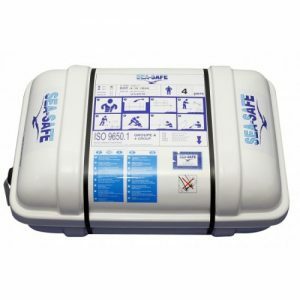 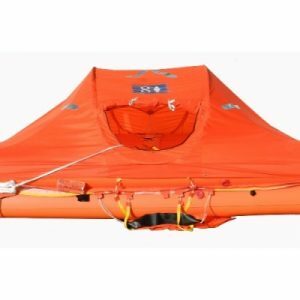 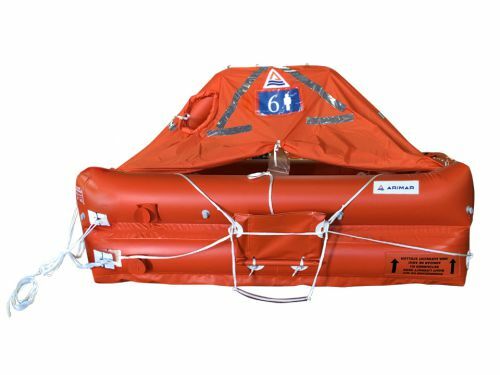 The “Flat” rectangular container for 6-,8- and 10-people liferafts is made of “UV resistant ” ABS, while the container for the liferaft for 12 people is made of GRP. 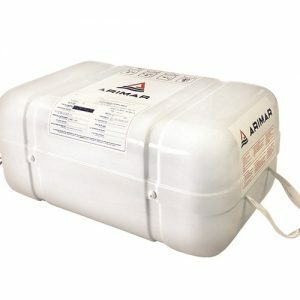 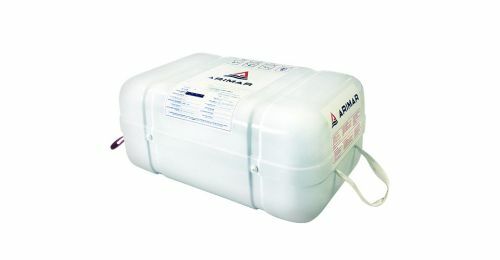 The extremely compact cylindrical container for the liferafts for 6, 8, 10 and 12 people is made of GRP.